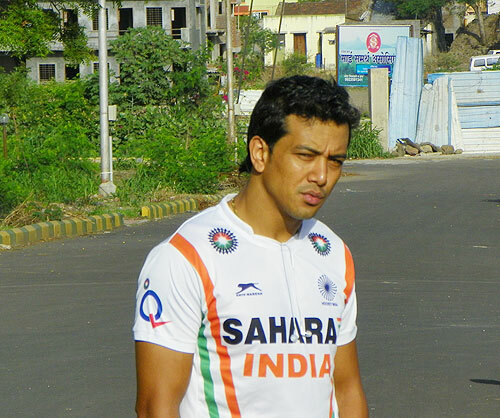 To call Bharat Chetri the comeback kid of Indian hockey would be an understatement. Since making his debut with the senior national squad in 2001 he's been in and out of the team. In fact, he was almost forgotten after featuring in the team that failed to qualify for the Beijing Olympics from the tournament in Chile in 2008. 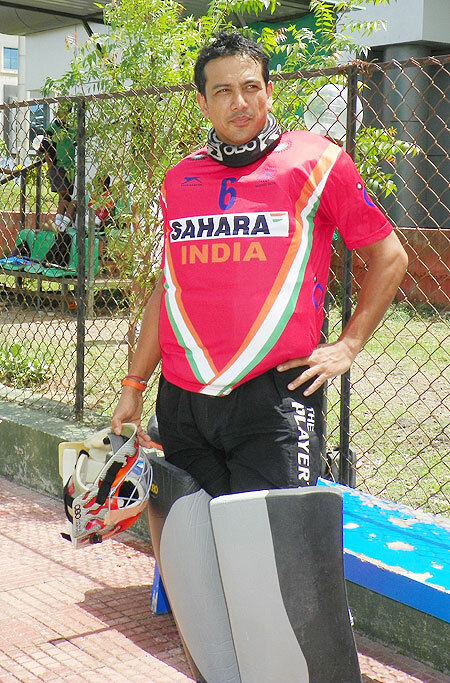 But since being recalled in April 2010 he's played a vital role in India's resurgence and qualification for the upcoming Olympics, prompting the national selectors to name him captain of the London-bound squad. 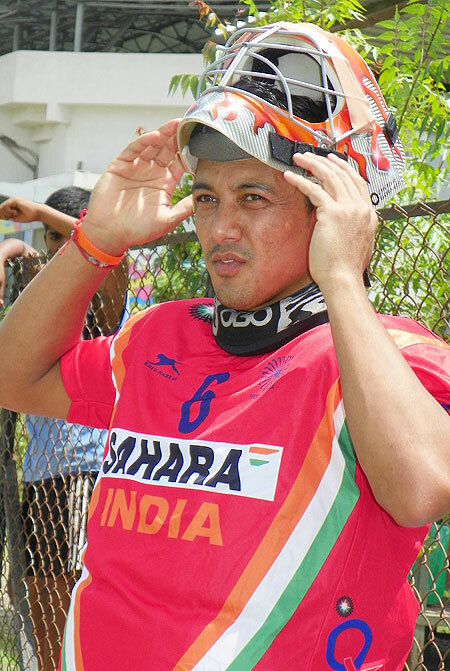 The 31-year-old Kalimpong-born goalkeeper, while promising to repose the coach's faith in him, discusses India's chances at the Games with Laxmi Negi. I have been playing hockey at the international level for almost 12 years now. The kind of fitness techniques Michael Nobbs and David John have come up with, I have never seen in my career. In modern hockey, the fitter you are the better. Also, we were infamous for letting in goals during the dying minutes of matches; it doesn't happen these days. Will other teams take India seriously now? Winning the Olympics qualifiers in New Delhi brought us into limelight, because we made a statement by the way we won it. We believe that we can do anything and I am sure teams won't take us lightly. I am sure all teams will be reading about our progress. When we played the four-nation tournament in London we were the fittest team. Do you feel the pressure of being in the tougher pool at the Olympics? I do not think that we are in the tougher pool. Holland plays man-to-man hockey and if we take care of that we might spring a few surprises. On a match day, if all the 16 players click and play to their capacity, and give at least 70-80 per cent in the match, I believe that we can go a long way in the tournament. The coach calls you the best captain and has immense faith in you. The coach has showed immense faith in me and I need to repay his faith. My main job is to keep the team together and motivate the boys. I am glad that under Michael Nobbs there is nothing called junior and senior players. We all interact with each other and sit together. Earlier, there used to be different groups which would stick together. Now 16 to 18 of us are equal; in actual sense, we are a team now! In match analysis earlier, a junior player could not express his views freely; now its all so open that even a junior can point out a senior's mistakes after a game. India's first match is against the Netherlands. Anything special planned for the Dutch? We first travel to France and then Spain. So we first play France and then England and Spain. We will be going up the ladder and we hope rectify our mistakes in these matches. Holland play a lot like Spain; so we will be more-or-less prepared for them. We all make mistakes in a game, but the team that makes minimum mistakes wins. If we have to reach the semi-finals, we have to win our first match. Also, Holland and India are almost at par. We have had very close matches in the past. But we are at out best when it comes to fitness, and the kind of speed that we have now, it be difficult for Holland.